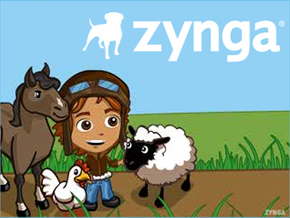 Zynga is talking to potential investors about raising $250 million. NEW YORK ( TheStreet) -- Zynga, the social gaming company known for games like Farmville, is raising $250 million at a $7 billion to $9 billion valuation, according to the Wall Street Journal. The three year old start-up, which makes games for Facebook, is in the process of speaking with investors, including one bulge-bracket bank and mutual funds, the report said. These talks come on the heels of rocketing valuations for several high-profile tech start-ups that have not yet filed to go public. Recent reports have pegged micro-blogging site Twitter's worth at $8 billion to $10 billion, and online daily deals site Groupon turned down a $6 billion buyout from Google ( GOOG in December. Investors have rushed to put their money into hot Internet start-ups through secondary markets like SharesPost and SecondMarket, which let employees sell their shares in private companies. Big investment banks are also looking to get in the action as well. JPMorgan ( JPM - Get Report) announced plans Sunday to form a new fund that would buy into late-stage Web and digital media companies, and Goldman Sachs ( GS - Get Report) created a special vehicle to allow foreign clients to invest in Facebook. Zynga, which says it is profitable and generated $850 million in revenue last year, doesn't need to raise funding. The company has more than 1,500 employees after hiring over 800 workers in 2010, the report said.